I am using Compaq Presario C 740 laptop from last 7 years. This was working fine but before some days my laptop stopped working automatically. I went to a shop and purchased a new keyboard that was compatible with my laptop and applied the following steps- An external keyboard is an easy to replace device. The user can look for a new keyboard it is easy to replace but for a built-in keyboards its more difficult to replace, but it is still possible. The user can purchase a new keyboard for the make and model laptop that has the broken keyboard on it. Then, the user can follow these basic steps to remove the old keyboard and install the new one. 1. Turn off the laptop. Remove the battery pack, if possible. 2. Turn the laptop upside down. 3. 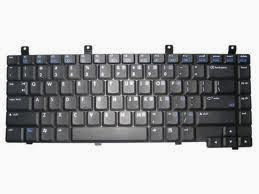 Examine the bottom to determine which screws are connected to the keyboard. These are usually indicated by a small keyboard icon. There may also be screws underneath the battery pack. 4. Find and remove all the screws holding the laptop and keyboard together. 5. Turn the laptop back over. 6. Pull up the plastic strip at the top of the keyboard. 7. Unscrew the screws holding the keyboard in place underneath this strip. 8. Lift up the keyboard to expose the data cable connecting it to the laptop. 9. Pull the data cable out of the connector. You may have to lift up some small plastic connectors holding the cable in place to remove it. 10. Set the old keyboard aside. 11. Slide the data cable of the new keyboard into the connector. 12. Screw the keyboard back in. Press the plastic strip back into place, and flip the laptop over to reinsert the rest of the screws. Power up the laptop and test the keyboard. If the keyboard is installed properly, the computer should recognize it automatically. There is usually no need to download keyboard driver software.